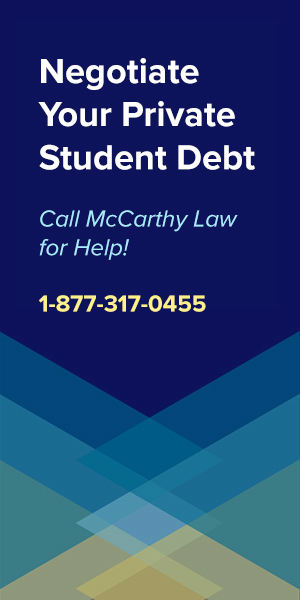 NEWS ALERT: On Thursday, December 13th 2018 the Department of Education announced they will begin issuing Borrower’s Defense to Repayment Discharges for up to $150,000,000 in contested student loans. Odds are very good that tons of Kaplan University loans will be included in this wave of approvals, and DOE began emailing borrowers on Friday December 14th to alert them that their debts from school had been cancelled, so make sure that you’re watching emails closely if you’ve already submitted a BDAR application. If you haven’t yet filed for a BDAR Discharge against Kaplan, then make sure to get your application in NOW to increase the chances that it’ll be approved in this wave of forgiveness, otherwise you may have to wait some time before funds are made available again. In 2019, I’ve got great news for Kaplan Kaplan University, Kaplan Career Institute and Kaplan College borrowers – your student loans are totally eligible to be discharged, meaning that you can have them eliminated without having to pay a single cent! 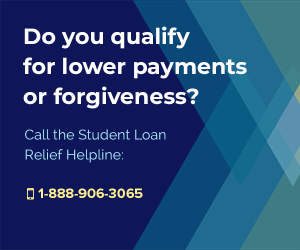 Student loan forgiveness for former students of Kaplan University is readily available via two excellent forgiveness programs, the Borrower’s Defense To Repayment program (BDAR) and the Closed School Loan Discharge program. 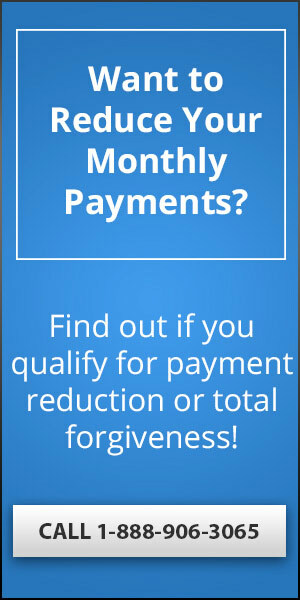 In this article, I’m going to give you plenty of information about each of these powerful forgiveness programs, including who qualifies for the benefits, how to apply for them, and how to frame your Borrower’s Defense claim in order to increase your chance of getting it approved. This is not a scam. These are real loan forgiveness programs created by the Federal Government and designed to help former students of Kaplan University receive loan forgiveness. Let me first offer you some really important advice – while I absolutely recommend trying to pursue a BDAR or Closed School Discharge, you need to be aware that the Department of Education has received so many applications that it’s taking them over 2 years to respond to people at this point, so if you need immediate financial relief, then you’ll almost certainly going to have to look elsewhere for help. One of the main reasons that Kaplan loans are eligible for the Borrower’s Defense program is that the school has been accused of defrauding the US Government to the tune of a whopping $4 billion, which is basically a record when it comes to higher education fraud. The school was doing so many illegal things, and running such fraudulent business practices, that the US Government investigation, lawsuit and punitive measures basically forced it into closing down, which isn’t surprising if you consider just how bad they were behaving. In fact, within the class action lawsuit against Kaplan University, we found out that they were involved in enrolling unqualified students, changing grades, and even falsifying legal documents so that their substandard programs would receive accreditation. That’s some serious stuff, and the reason why virtually anyone who attended any of their schools should have no problem in getting their loans completely discharged via Borrower’s Defense to Repayment. If you’re a former student of Kaplan University seeking student loan forgiveness then there are two different programs available to you, the Borrower’s Defense To Repayment and the Closed School Loan Discharge program. To skip to the section of this Guide where I go through each of these programs in detail, please click the hot links below. One thing to keep in mind is that you can’t (or at least shouldn’t) apply to both of these programs, so what you need to do is research how each of them works, think about your specific situation and experience with Kaplan, then decide which one will work best for you. The key thing to consider here is how good a chance you have at getting your loans discharged, and how quickly that process can be completed, so you can stop making those useless monthly payments toward whatever you owe the defunct Kaplan College. To help you figure out which program will work best, let’s take a closer look at them in detail. The Borrower’s Defense to Repayment Program (often abbreviated BDAR) was created to help people get rid of student loans that shouldn’t exist in the first place. The way it works is that it provides an avenue for you to get your loans legally discharged if you can prove that they were only taken out because the school, student loan lender or servicer did something fraudulent that convinced you it was a good idea to borrow the money for their program in the first place. Basically, what you have to do to get a BDAR discharge approved is make a crystal clear argument stating that you never would have thought borrowing money for Kaplan’s higher education programs was a good idea, had you known the truth about their value. Because Kaplan University has been proven to have broken the law in so many serious ways, especially via things like false advertising, making false claims, and lying about the value of their programs, it’ll be relatively easy for you to prove that you deserve loan forgiveness benefits. If you’re thinking it sounds too good to be true, then fear not, because as you read this, other former Kaplan students are getting their BDAR applications approved, and having their loans entirely forgiven. To make one thing crystal clear, this is NOT a Student Loan Forgiveness Scam, as the Borrower’s Defense program was created by the US Government, and is run by the Department of Education. If your BDAR application is filled out correctly and properly processed, then not only will you receive debt forgiveness, but you might also qualify for a refund on whatever amount of money you’ve already paid out. That’s why how you write your Borrower’s Defense claim is so important. Let’s take a look at how that process. In your Borrower’s Defense Application, it’s very important that you stress the fact that Kaplan University defrauded the US government out of $4 billion dollars, and that part of that defrauding process was directed against YOU, the person who was sold a false bill of goods, promised things that never got delivered. You need to really emphasize the point that you would never have taken out a student loan to attend Kaplan University if they hadn’t misrepresented the quality of their educational programs to you, and you need to be specific about what things they lied to you about in order to convince you to take out the loan (things like job placement rates, total costs, potential salaries for graduates, or whatever you were promised). Since the school was found guilty of wrongdoing it will be easy for you to prove that they employed false advertising to mislead you, but remember, you have to have actually experienced something here or you could be putting yourself at legal risk. Do not lie on your BDAR application! When you apply for the discharge, make sure that you hiighlight specific details about what Kaplan College enrollment advisors, advertisements or other official information told you in order to entice you take out the student loan. Also, think about what happened after you enrolled. Did the school seem to care about your academic achievements or were they only interested in the student loan money? Be very specific when writing this stuff up, because it’s not enough to simply point out that the school broke the law and was deservingly punished. You need to show that they targeted you personally. To help you brainstorm ideas for things you could include on your application, let’s take a closer look at what exactly Kaplan University was doing that got them into trouble in the first place. If any of these things happened to you, then remember that your loan should be forgiven, and more importantly, that you can use these as the reasons for why your loan should be discharged on your BDAR application. What Fraudulent Activity has Kaplan University Been Accused Of? Kaplan University has been accused of enrolling unqualified students, changing grades, and falsifying legal documents related to the school’s accreditation requirements. As I pointed out above, you will need to link your Borrower’s Defense claim to the school’s legal troubles, pointing out that the school did some or several of the things mentioned in the lawsuit against to you personally, and that it was these illegal behaviors which convinced you to agree to take out a loan for their higher education program. If you can’t be specific and explain this clearly, then your application will be rejected and you’ll have to continue paying off that Kaplan debt. If you do a good job and make it crystal clear that you were defrauded by Kaplan, then your loans will be discharged and you’ll be able to walk away from this without paying Kaplan another cent. But probably the worst thing that Kaplan did was falsifying legal documents so that their substandard academic programs would be accredited, which flies in the face of the entire accreditation process, and makes Kaplan one of the worst actors in a very bad industry (for-profit schools). Did Kaplan lie to you about the prospects or value of their higher education programs? Do you feel that they enrolled you even though you weren’t qualified? Did they care about your academic performance, or were they only keeping you around to collect your Federal student loan dollars? Did they change your grades to keep you enrolled, even though you should have been dropped for poor performance? If any of this sounds familiar to you, then you need to apply to the Borrower’s Defense Against Repayment program because you’re absolutely entitled to claim student loan forgiveness since your loans were created based on deception and lies. You can find the official US government application for the Borrower’s Defense program here. If you want to read through the application before you start the wizard scroll down and click the “View Form” button. A quick word of warning to help keep you safe: do not file your Borrower’s Defense claim anywhere else! It’s extremely important that you file it at the official US government website devoted to the program. If you Google around, you’ll probably find all sorts of people claiming that they can take your Borrower’s Defense applications for you, then supply them to the US Government, but this is not a good idea. Not only do you not need anyone else’s help with Borrower’s Defense, but you also shouldn’t be willing to give out all the details required to complete the application to anyone other than an official US Government entity, or perhaps an attorney. If you’re having trouble filling out the application, ask your questions in the comments section below and I’ll give you advice on how to take care of different parts of the process. Unfortunately, Borrower’s Defense claims aren’t being processed quickly because the Department of Education has been inundated with them over the past couple years, but also because the DOE is outright hostile to the benefit itself. In fact, Betsy DeVos, our Education Secretary, has been trying to eliminate the Borrower’s Defense program entirely ever since she was appointed by President Donald Trump, who also seems to be against BDAR’s existence. Which leads me to my next important point: if you’re eligible for a BDAR discharge, then you need to fill out the application immediately! Why? Because if DeVos successfully cancels it by defunding it or changing the law, then your only hope for receiving the discharge will be to have your application submitted BEFORE it’s dismantled. There’s a very good chance that anyone who applies for BDAR while the program is still in existence will be grandfathered in and allowed to receive loan forgiveness, even if the program gets cut. 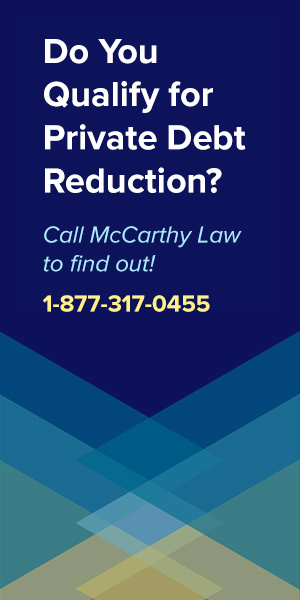 If you don’t qualify for a Borrower’s Defense Discharge, then the good news is that you may have another path to forgiveness via the simple fact that Kaplan is no longer operational. The closing of Kaplan University, Kaplan College and Kaplan Career Institute entitles former students to use the Closed School Loan Discharge program in order to obtain loan forgiveness, under certain conditions. The Closed School program can help anyone who was studying at Kaplan University at the time it closed. or who left the school prior to the time it closed, but within 120 days of the closure. And this program is actually the better option for receiving forgiveness benefits because even though it’s harder to qualify for them, it’s much easier to actually receive them. While BDAR approvals are taking over a year to complete, people submitting Closed School Applications are hearing back far more quickly. For complete details of everything you could possibly want to know about the Closed School Loan Discharge program, visit my page on it here. Alternatively, if you just want to know how to take advantage of it, then here’s the main details you need to know. In order to qualify for a Closed School program discharge, you need to have either been still studying at Kaplan at the time it closed, or you need to have left the school no more than 120 days prior to its closing. You did not transfer your Kaplan University credits to another school which you’re currently attending. You did not complete all your coursework at Kaplan University, but failed to receive your diploma prior to the school’s closing. If you satisfy these requirements there’s a very good chance that you’ll be able to obtain student loan forgiveness for your Kaplan loans. To apply for the Closed School Loan Discharge program simply download the official application, fill it out, and submit it to your loan servicer, the company that receives your monthly loan payment. Every servicer has a slightly different way of processing these applications, so once you’ve submitted your paperwork, you’ll need to listen to them and follow their instructions in order to get the discharge approved. They’re both good programs in that they both have the ability to wipe out your student loans and reimburse you for past payments. The main difference between BDAR and Closed School Discharges is that applications for the Borrower’s Defense program are taking quite some time to process, with many people reporting waiting over a year to even hear back from the Department of Education. So, assuming that you qualify for both programs, I would choose the Closed School program simply because it provides a quicker resolution. However, the choice is ultimately up to you. Read through the details about each program, think about which one will actually work for you, then fill out your application. Yes, unfortunately, you will end up owing taxes on the amount of forgiven student loan debt. This is because the IRS considers the forgiven debt to be taxable income, meaning that you have to claim it as income on your annual IRS tax return. If you have $100,000 forgiven, then the IRS would consider you as having made an extra $100,000 for the year that your debt was forgiven. At an income tax rate of 30%, you’d need to pay the IRS $30,000, but the worst part about it is that the IRS typically wants you to pay them in a single, lump-sum payment all at once, unlike student loans which are broken up and stretched out over a period of years. Obviously, anyone struggling with student loan debt isn’t going to have that kind of cash laying around, which is why I think we all need to be aware of the potential for what I call a “student loan forgiveness taxpocalypse” coming on the horizon. In fact, I think this is going to create such a big problem for so many people that I’ve set up a new website called Forget Tax Debt to offer IRS tax-related advice, just like I do here for student loans. If you’re having any problems with the IRS, or with taxes, then you need to visit Forget Tax Debt, where I’ll walk you through things like applying to the IRS Fresh Start Program, negotiating for an IRS Tax Debt Settlement, qualifying for IRS Tax Debt Forgiveness or simply Filing & Paying IRS Back Taxes. What If I Have Other Questions About Student Loans? If you need help with questions about general student loan topics, be sure to look at the other pages of my site, which go through both Private and Federal student loan options in detail. For help getting Federal Student Loan Relief, look at my pages on Federal Loan Forgiveness, Federal Student Loan Bankruptcy Discharges, Federal Loan Consolidation Programs and Federal Student Loan Repayment Plans. 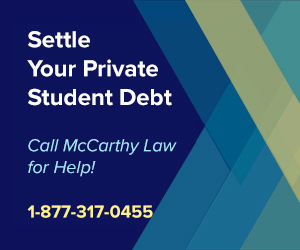 For help getting Private Student Loan Relief, check out my pages on Private Loan Forgiveness, Private Student Loan Consolidation, Private Student Loan Bankruptcy Discharges and Private Student Loan Default Help. And if you have specific questions about the Borrower’s Defense Program or the Closed School Discharge Program, check out my pages on them, or look at the official US Government student loan relief website. You can find the official Borrower’s Defense program page here and the official Closed School program page here. Please be careful about getting your information from anywhere else! While you can certainly find good information about these programs from non-governmental websites, there are also a lot of scammers taking advantage of desperate people, and you don’t want to become one of their next victims. In the spirit of full disclosure: I do not work for the US Department of Education in any capacity. I’m not a representative of the US government. However, I would be happy to answer any questions you might have about either of these programs, or about student loan forgiveness in general. Feel free to leave your question in the comments section below and I’ll get you an answer as quickly as possible. Hi! My name is Valerie Morgan,I really need to speak to someone about this as my situation may be slightly different than most. I was recruited gone after for months, felt like I was part of my recruiters family. Finally gave in needed something to do with my time as I was taking care of my sick mother. Told them from the start I probably wouldn’t be able to finish, yet he continued to persuade me to do this, that I could do and go anywhere with my degree,hum. Anyway I took the entrance test and was three short of passing, was told to study it again and take test again. Well oh I was 100percentbon the test never have they seen that before etc…ok I can get you a grant for 1000.00 and it’s only 300.00 more that if you can’t cover we’ll get you a loan for the difference. You can afford that can’t you and think of the advantage you’ll have when you graduate etc…mind you I told him I probably won’t be able to finish the semester as my Mom is really ill. August of 2010, recruited .September 2010 semester starts by October 2010 my Mom goes to hospital open heart surgery. I let them know before the cut off deadline for withdrawal form the classes for the semester. I began to call recruiters finally get him on phone attitude shift well I can’t speak to you about this, call human resource,ok I call HR oh I’ll have to look into this will get back to you. One week passes I’m at the hospital everyday with mom. By the way the one time I needed to speak to a teacher,she responded to my question with a question. My response was well if I knew I wouldn’t have to ask you. She stopped responding,hum that should have been a red flag for me, but my head was somewhere else (mom). Needless to say no one responded to my request until after the cut off date for withdrawal, I was told someone else would contact me about it and no one ever did, my Mom passed on October 11th 2010. Don’t believe no news is good news, never heard anything from them, they took messages from me, but never returned my calls. Then about two years later I started getting billed. It started at about $2000.00 and currently it is a little over $5000. 00. It stopped coming to me around $3000.00 until I applied for my SSI. Now they are garnishing my SSI and then here the new bill showing it’s over $5000.00. Can’t find anyone that can answer any of my questions. No money and no job and informed that I can never apply for another student loan I’d I fight this. This information comes from the Treasury Dept. ???? The whole story about your Mom isn’t honestly going to help your case at all. You need to deal with the fact that you’ve got some serious debt that hasn’t been taken care of here. You could either try to pursue a Borrower’s Defense to Repayment Discharge against your school, or you need to find a way to get your loans back on track. Speaking of your loans, are they Federal or Private? 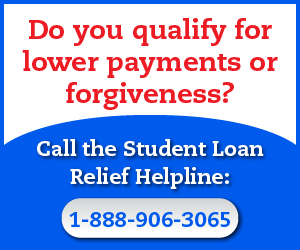 For Federal Loans – call the Student Loan Relief Helpline, who may be able to help get your loans back out of default. You can reach them at 1-888-906-3065. 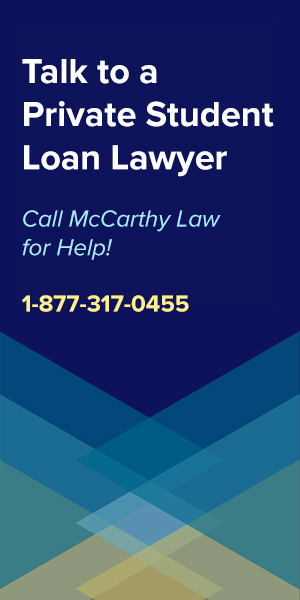 For Private Loans – call McCarthy Law PLC, a group of attorneys who will help you get a debt settlement and a new loan for the lower settled amount of the debt. You can reach them at 1-877-317-0455. I attempted to attend and graduate from Kaplan 2010 however it was always more loans I needed to complete my said 32 thousand for my degree. I thought I was qualifying for financial aid which upon graduating would not have to be paid back however all of my loans are student loans about 70 thousand dollars and hitting my credit separately! Any suggestions I would greatly appreciate. I have tried to get my transcript as well as contact the Navient which has all my loans on deferment to get them to lump them in one so I can at least improve my credit rating but I’m at a loss! Here’s my thinking – either try to qualify for the Borrower’s Defense to Repayment Program, or come up with a new strategy for dealing with the debt that you’ve racked up, which may require paying someone for help. 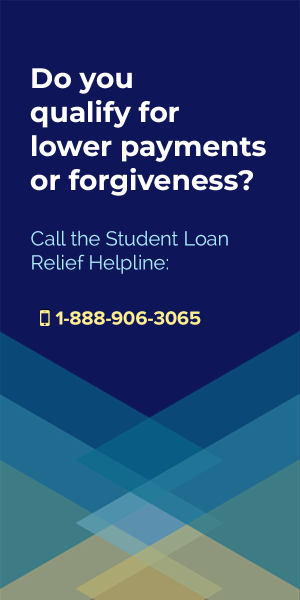 If you’ve got Federal Loans – call the Student Loan Relief Helpline to see if they have any options for consolidating, refinancing or somehow getting your loans back into repayment status so that you can get back on track with paying them off. You can reach them at 1-888-906-3065. 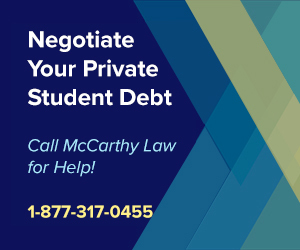 If you’ve got Private Loans – call McCarthy Law PLC, a group of attorneys who will get you a debt settlement at about 40% of your current outstanding debt, and who can hook you up with a new loan at the lowered, settled amount. This will save a TON of money in the short-run, and long-run. You can reach them at 1-877-317-0455. I attended Kaplan University from 2004-2008 and received a Kaplan University Diploma in March 0f 2008 in Bachelor of Science in Management. I had been out of work so was considering going back to school thinking a degree would help me at my age to become employable. Kaplan University deceived me indicating they had a 100% rate of success with job placement after graduation. Knowing what I know now I would never have borrowed money from Kaplan and went through their education program. All loans have now been transferred to Navient where I am currently making payments as part of an Income-Driven repayment program but the Loan Debt is around $95,000.00. I was never able to attain employment because of my Kaplan degree. Most locations always questioned whether it was legitimate. Try securing employment with a Kaplan University degree at 60 years old, and now as I’m approaching retirement have this $95,000 debt looming over me that will do nothing for me. Promising a 100% job placement rate is definitely the sort of thing that the Borrower’s Defense to Repayment Program was created to stop school’s from doing. I would certainly pursue a BDAR Discharge if I were you, making it as clear as possible that this false claim was the sole reason you thought it would be a good idea to borrow money for their program, and clearly indication that you never would have done so without the false promise. Is there a time limit in which we can apply? I am a previous Kaplan student with 43k in loans and it is really ruining my life. I got stuck with a very bad loan debt agency called Credit Adjustments INC and I have no idea what to do anymore. Nope, there’s no time limit for BDAR applications, but I’d get your app in as soon as possible because it’s taking forever to hear back from the Department of Education on the status of applications. Some people are waiting OVER two years just to get a single response at all, letting them know that the application has been received – NOT whether or not it’s been approved. Hi I attended Kaplan and they talked me into getting student loans said I would only have to pay $50 a month to pay them back. They also had me take and pay for the wrong classes. They tried to convince me that I would have my degree in no time, that I would get a top of the line degree. Along with job assistance when I graduate which never happened. Do you think I qualify for either of the above programs. The promise of paying just $50 per month to pay them back sounds like it would qualify you for a BDAR discharge, but you’re going to need to provide as much evidence as possible for this claim because that’s one I’ve never heard anybody mention before. Hello there, great information. I attended Kaplan late 2011 and 2012 at their Phoenix, Az location for their vet tech degree. In 2012 I became pregnant with my son. At this point I completed around 4 classes. When I talked to them about taking a maternity leave after having my son in November of 2012 they said I would have to restart the program as they were changing the curriculum and the classes I passed would not be relevant for the new program. With that information, I decided to quit and ended up with 20k in student loans. Do you think I would qualify? I did not want to restart the program because I was giving birth to my son. I don’t think you’re going to qualify for a discharge based on what you told me. You need to be able to prove that the school committed fraud against you, and this explanation doesn’t include anything about fraud. Thanks for the kind words Falisha and good luck with your application! Yes, I have heard of people getting their loans discharged. Wage Garnishments go until everything gets fully sorted out, and that can take time, but it’s different in every case. Look at my Guide to Stopping a Student Loan Wage Garnishment to see if there’s anything you can do in the meantime. Hi, I attended Kaplan but had to stop going before i finished my degree. Long story short it was suggested that i take out a loan which i did and now i owe Navient because my loan was taken over by them. I’m looking to have my loans removed but I don’t know where to look for any information that shows I went to the school. You need to get in touch with Kaplan to see if you can get a transcript from them. Yeah, you may be able to get approval for a Closed School Discharge. I would definitely try to pursue it. Hi! Does this forgiveness apply to the Concord law school? An online law school. Are you talking about the Borrower’s Defense to Repayment Program? That Program works for Federal student loans for ANY School, College or University, so if that’s what your’e asking about, then yes. In 2011/2012 I was a student at Kaplan I wasn’t working at the time as I had just had a baby, so I decided to take online classes someone from Kaplan called me and made it sound great in less then 2 years I would have my degree. long story short I was called back to my job prior to having my child and thought I would be able to still work and continue my classes but it got to be too much and I couldn’t afford to quit my job, so I quit my school. However I still ended with $14,000 in student loan debt. In 2017 $6,000. was took from my refund, last year $6,000. more was taken and this year I still owe $1,550. that I’m sure they are going to take. My question is would any of this lawsuit apply to me? No, you don’t have any valid justification or legal grounds for applying for a Borrower’s Defense to Repayment Discharge. The school hasn’t done anything illegal against you. They just got a Student Loan Wage Garnishment or a Tax Lien levied against you for failure to pay back the money you borrowed. This is totally normal and legal. Something really weird happened with the reporting of my student loans to the credit bureaus in December 2018. All of a sudden they went into a 10 year deferment and said they arent to start being paid back for 10 years or 2028…..have you heard if this happening to anyone else? I attended Kaplan Online University 2009 to 2011 and took out 27k in student loans and now owe 47k. They jerked me around all over the place when I started questioning the cost of their courses compared to other universities and why they were allowing me to retake and enrolling me in these courses that I didnt pass 3x’s when their policy stated you could only retake once. They also reduced the amount of transfer credits after seeing how many credits I had to transfer in after I had already started coursework and applied for loans. What’s my chances? Did you apply for a Borrower’s Defense Discharge? Loans are put into Deferment automatically as the DOE analyzes the application and determines whether or not to accept or reject it – that may be what’s happened here? This sounds pretty crazy though as I’ve never heard of a 10 year deferment, EVER. I would contact your Servicer to ask what the heck is going on. I would also consider getting in touch with the Student Loan Ombudsman Group to ask them what they think is going on. 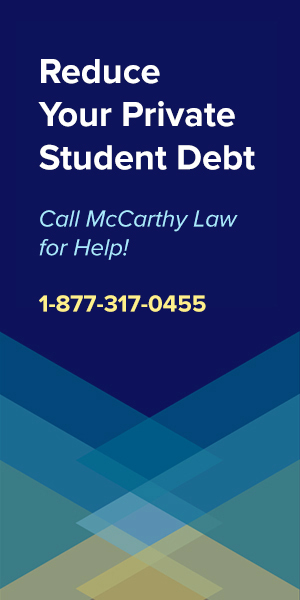 This is a Government-backed group of Attorneys who offer free legal advice on student loan-related problems, and they can DEFINITELY help if your loans are Federal. The things you explained sound like a bad experience and maybe a customer service problem, but they don’t sound like illegal behavior, so I don’t think that you’d qualify for a BDAR Discharge if those are the only reasons you listed in an application. You need to prove the school committed fraud, not that they gave you a hard time or let you break some of their rules. Is there a time limit for the Borrower’s Defense? I attended a school from 2002 to 2004 and believe it was bought out by Kaplan which prompted my loan servicer to send me a letter about the School Closure discharge. I haven’t been able to figure out when my school changed hands/ closed and if that would apply to me. But the the Borrower’s Defense certainly would but I uncertain if too much time has passed. Nope, there’s no statute of limitations on Borrower’s Defense to Repayment. You can file a claim against a school at any time. Hi after doing research on different universities that offer Master in Nursing and finally speaking with Kaplan guidance/financial aid counselors, I started the Kaplan Nursing Program in June of 2010, with the advertisement of high graduation rate, job placement, etc. I unfornately did not complete the program as expected at that time, however am still paying on the loan. Will i qualify for the DBR? You may qualify for a Borrower’s Defense to Repayment Discharge (not sure what “DBR” means), but only if you can point out exactly what sorts of claims they made to you about high graduation rates, job placement, etc., and explain how those impacted your decision to borrow money to attend the school. Try using the Internet Archives Wayback Machine to look for old claims on old versions of their website, or go through old emails from them, or think about old conversations with them. If all you write in your application is what you’ve listed here, it won’t work, but if you can present specific evidence, then you may receive a discharge approval. Hi, I, started Kaplan in January of 2013 and graduated June of 2015. I was promised job placement and never received any assistance from Kaplan. I, also paid for an official transcript in 2017 and never received one. And now I’m $86,000.00 in dept! Do I, qualify for a student loan discharge? What EXACTLY did they promise in terms of job placement? That they’d help you find a position? That you were guaranteed to find one in your field of study? That you would get one earning a certain amount of money? You definitely won’t be getting a $86,000 discharge for a single unpaid transcript, so I’d focus on the job placement issue if I were you. When I was attending college is was called T.E.C. in Columbus Ohio. I know Kaplan was taking over but I’m not sure if T.e.c. was already owned by Kaplan an just changing names.. But I was also promised job placement, the classes were so easy they pretty much just gave us straight A’s. Our teacher were only Medical Assistants with a few years experience. I know they didn’t give 2 shits about our academics only the money. A friend of mine an i went together she was a single mother of 1 an I a single mother of 2 I never got a quarterly check however she did. Also I took a loan out for 17.000 but. Had an amount of 20.000 to pay back. I cant even find my loans nor can I find any records of the school? If you can’t find your loans then are you sure you owe anyone money? Sometimes the loans just disappear through administrative issues, like losing paperwork, computer problems, etc. Are you getting bills? It means the schools would accept applications from anybody, including people who had no hope of ever graduating, because they wanted their money. How about not having a proper high school diploma just a certificate not a GED an actual certificate that I later learned was earned from a school that was not an accredited one?! I would pursue the not accredited part. If they said they were accredited, but were lying about it, then you may be eligible for a BDAR Discharge. I do not think that suggesting she finance via Private lenders would qualify for BDAR, especially because BDAR is only available to people with Federal Student Loans. I’m pretty sure that she won’t qualify for any of the programs I’ve outlined here, as almost all of the forgiveness and discharge programs only apply to Federal debt. Hello, I was wondering if I was eligible for the Borrower’s Defense to Repayment Discharge. I initially enrolled under the assumption that the school’s medical assisting program was the equivalent of a dental assisting program according to what information they gave me when I applied. They also proceeded to never tell me when I moved that I needed to fill out a new form regarding clinicals and my new address later into the program, which caused them to send me to an impossible to get to location for clinicals and ultimately forcing me to change my major to medical transcription. That’s when they told me that I didn’t have to worry about any classes that weren’t necessary for medical transcription and I could stop attending them. At the end of the semester, they proceeded to start expulsion proceedings, which I had to argue with them over because the classes I had failed (on their recommendation) were not part of my major. After that, they decided to cancel all of my student loans pending and charge me personally for one of the classes even though the loans they had cancelled would have covered anything I might have owed the school. I apologize for the long story, but due to their mistakes, I’m now close to $60k in debt from their school as well as another school where I finally got my medical assistant degree (shockingly it cost much less to go to this school and I graduated from it with no issues). The majority of the costs that Kaplan charged was close to $45k, I haven’t been able to do much to try and pay off my student loans because I was and still am on public assistance due to an inability to secure a job in the field I went to school for. Do any of the problems with Kaplan itself suggest that I have a chance to have my loans forgiven? It’s possible that this would qualify you for a Borrower’s Defense Discharge, but I think it could be tough to prove what happened here. You’re going to need to provide much more detail in your BDAR application. Dates, times, locations, who said what and when, how it impacted your decision to borrow money, etc. This comes across as a story that maybe you just didn’t understand what they were saying? Or there was some miscommunication? You need to show that they were committing illegal activity, so be more specific in your explanation. Hi,I entered Kaplan July2013,graduated in. May 2014,I never received my diploma due to my loans not being paid.I was told when I entered that a job would be found for me,I would be given a gas card and/or a bus token to get to myintern site ..I was given neither.I was told that my intern site would be my job after 6 weeks,it was not. The job I eventually found was not in the medical billing and coding field,so I was not making 20 to 24 dollars an hour.My loans are in collections,what can I do? Not only that but now I receive 500.00 a mo. Disability from Social Security. This sounds like you may have a chance at a Borrower’s Defense Discharge, because you were promised things that were never delivered. Take a look at my Guide on How to Apply for the Borrower’s Defense Program, and good luck! I graduated from Kaplan 12 years ago and have been on economic hardship or deferment this whole time up until about 6 ml months ago when I got a little higher paying job. I had a payment of $100 but it was still a struggle to pay being a single woman. 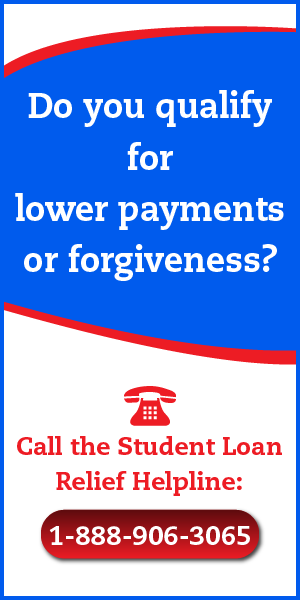 My question is could I get my loans forgiven? I do know of some frauds things that occurred while I was enrolled but don’t have proof. To get your loans forgiven you need to prove that something illegal was done AGAINST YOU personally. Read my full post on the topic, it includes details of the specific things that make you eligible for a discharge. You don’t necessarily have to have a physical recording of someone saying something to use as proof – as long as you can provide enough details to make it a credible report, you should be ok. Make sure to include time, place, person, position, etc., when writing up whatever it is that you want to report. The more detail the better! Hello, I am a Veteran & recently was TRICKED by a “Company” calling themselves “STUDENT S——S C—-R”; supposedly they are out of California, I paid them $820.00 to help me with my Kaplan Student Loan. Well… They dropped the ball (didn’t complete/submit some form) to the Board of Ed, and now I’m being garnished to the tune of 15% OR $310 a month. NOW the Board of Ed is trying to “work” work me in adjusting my monthly payment!?! WHY SHOULD I HAVE TO PAY MONEY to a “SCHOOL” which is now Closed and had LIED to Me!?! Any assistance you can provide will be appreciated. I had to remove your mention of the name of the company in case they’re crawling the web – occasionally I’ll get contacted by attorneys saying that these companies want to sue me for defaming them – but it sounds like you definitely got scammed. I would try contacting the Student Loan Ombudsman Group to see if there’s any way that they can help you with this process. This is a group of Government-backed attorneys who offer FREE legal advice on student loan-related issues. Google their name to find their phone number, and good luck! I attended kaplan online from 2006 to 2008. I graduated with an associates in business management but never recieved my diploma from them due to them messing up my loans and saying I had to pay a bunch back prior to receiving my diploma. Student loans for two years totalled $63,000. I do not have much documented proof is there anything I can do? How did they mess up your loans? And did you just never receive a paper diploma, or did they actually hold back on allowing you to graduate? This sounds kind of complicated, and the specifics matter. How do I find out about if I am eligible for options for students that attended Kaplan Univerisity? Read my entire post and look at the Eligibility section. Hi, does this apply to Bauder College? And also does it apply to parent loans? I’m not familiar with Bauder College? Are they part of the Kaplan system? And Parent Loans are slightly tricky. They’re SOMETIMES included in Federal benefits programs… and sometimes excluded. To find out for sure if you can get a Parent Plus Loan discharged, I’d contact the Student Loan Ombudsman Group and ask them. This is a group of Federal Government backed attorneys who provide advice on student loan benefits, for free. You can find their contact info by Googling their name. I used to be a former student of kaplan in san diego for vocational nursing. I still have a loan with them about $7400. I want to stop paying the loan. How do i even start doing this. To stop paying the loan you’d have to start looking into your options for having it discharged. Your best bet would be coming up with an argument for why you deserve a Borrower’s Defense to Repayment Discharge.